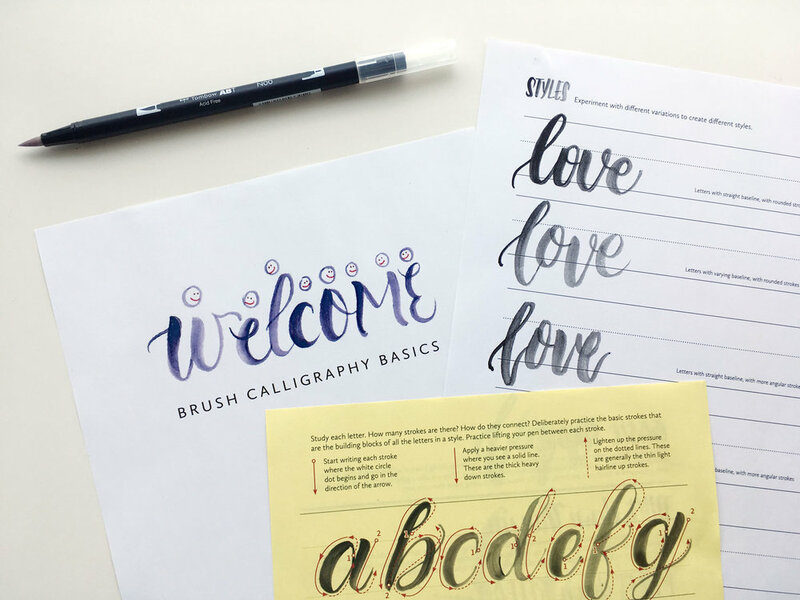 You secretly admire the calligraphy craze on Instagram. You’re inspired to stretch your creative muscles. You wonder if this could be your new form of self-expression. You’re searching for a fun and meaningful experience to share with your partner, besties, team, or community group. No matter where you are in your journey, my calligraphy workshops will refresh your heart and empower you with the creative tools to live an inspired and intentional life of impact. Two kinds of workshops. You can enter through either way. IF you’re not sure, check out our FAQ about where to get started. Public workshops run throughout the year. All workshops are available for private hire. Custom are also available. OR requests for travel.